If you haven’t already guessed by my name I love Barbie and I get very excited about designer collaborations, from Karl Lagerfeld and Moschino to the latest collab with Fashion East emerging designer Matty Bovan, who if you haven’t have heard is pretty special when it comes to bold, feminine statements and he has designed an amazing collection of tees featuring hand-drawn graphics to celebrate Barbie’s 58th Birthday. 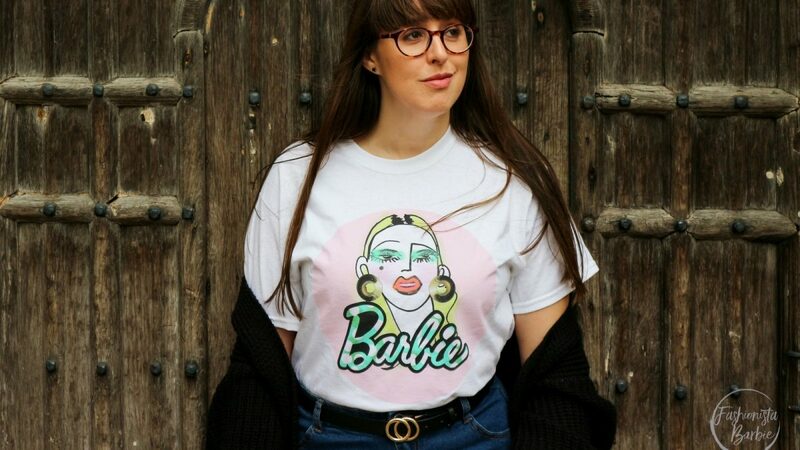 There are four tees in the collection and I have to be honest I found it hard choosing just one, but there was something so beautiful about this doll with her statement 80s earrings and vibrant make-up that I just couldn’t resist. 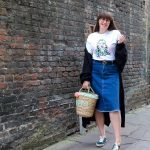 The tees are priced at £45, while the cool giant badge is £20 (scroll to the bottom to see and buy them all), and they are exclusive to Selfridges and can be found in the Fashion East pop-up within the Designer Studio on 3. The collection also includes a number of one-of-a-kind Barbie dolls styled in Matty Bovan’s SS17 collection, priced at £150 each I was very tempted but had to reign myself back in as we are moving house and I think my husband might have killed me. There is also a cool sticker available for £10 featuring Matty Bovan’s cool graphic design. 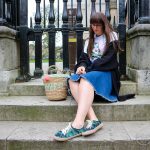 This tee is calling out for sunshine, sadly it seems like even though spring was in the air we have reverted back to winter, which is why I most certainly needed this chunky cardigan. 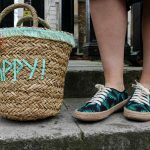 But I think it works so well with these cool espadrilles from Emu Australia, I’m obsessed with the palm print, which FYI you will see a lot of for spring and summer on the high street, and I thought it was a great opportunity to show off this fab ‘Happy’ straw bag that I picked up in the Zara Kids sale last year. Yep, this is a kiddie bag, and I couldn’t love it more!!! 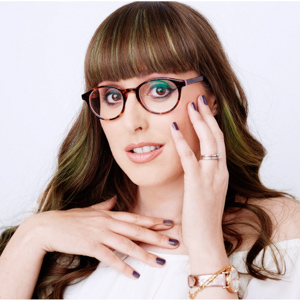 Have you discovered the Matty Bovan x Barbie collection?